José Celso Barbosa Day is a Puerto Rican holiday celebrated on July 27. It is dedicated to the person widely considered to be the father of Puerto Rico’s statehood movement. Besides, Barbosa made a large contribution to the healthcare system of the island. 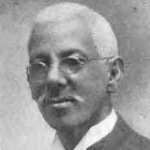 José Celso Barbosa was born on July 27, 1857 to parents of European and African ancestry. After graduating from the prestigious Jesuit Seminary, he moved to the United States. In 1877, he was admitted to the medical school of the University of Michigan. He graduated in three years, becoming one of the first persons of African descent, and the first Puerto Rican to earn a medical degree in the USA. After graduating from the medical school, Barbosa returned to his hometown of Bayamón, where he set up his medical practice. He experienced some problems when the Spanish colonial government refused to recognize his medical degree, but the intervention of the American consul to the island helped to get Barbosa’s degree recognized. He provided medical care all over the island and helped introduce the very first health insurance system in Puerto Rico. Barbosa also was an accomplished politician. He founded the Puerto Rican Republican Party that supported statehood for the island and was a member of the Executive Cabinet, and later of the first Puerto Rican Senate. José Celso Barbosa Day is celebrated on Barbosa’s birthday, July 27. The official commemoration usually takes place in Bayamón. A smaller ceremony is held at the cemetery in San Juan where Barbosa was buried.